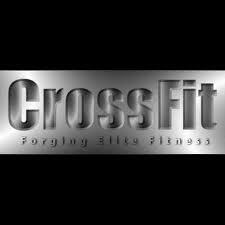 Unless you are living under a rock you have heard of CrossFit or seen a commercial on television advertising it. ESPN is now airing the CrossFit Games and Reebok has joined forces with CrossFit as their major sponsor. Jump in your car and drive around for a few minutes and you’ll probably pass a couple CrossFit gyms. And I am sure that we all have a couple friends that spend their week nights doing CrossFit at their local outfit. CrossFit is everywhere. The problem is CrossFit isn’t for everyone, nor is it for most. With the lack of physical fitness in the United States (close to 65% of people are overweight or obese) I find it hard to actually tell be to stay away from a gym. I am all for people getting into a gym and working out and will usually go with the philosophy that ‘something is better than nothing’ when people ask for advice on exercise. CrossFit is a different beast. Because the Olympic lifts are so physically demanding it makes little sense to perform the lifts at a high repetition. In fact, it’s dangerous. Bad form with Olympic lifts is a recipe for disaster. As strength coaches we have to keep in mind that athletes get paid millions of dollars to play their sports – they make their money off their bodies and athletic abilities. Because of that, #1 goal of any strength & conditioning program should be to keep the athlete as healthy as possible both in-season and off-season. As Mike Boyle, strength coach for the Boston Red Sox said, “Getting hurt training to not get hurt is as is stupid as is sounds.” But, I guess that’s why very few, if any, professional athletes use CrossFit. This issue is closely tied with my issue with no progressions and regressions. Simply put, not everyone should be allowed to perform all types of exercises because of physical issues and/or limitations. Many major colleges and universities, private strength & conditioning facilities like Athletes Performance and Mike Boyle Strength & Conditioning, as well as some personal trainers as using a screening process for their athletes or clients. The most well known and used screen is the Functional Movement Screen created by Gray Cook and Lee Burton. Taken directly from the FMS website, the FMS is essentially a “ranking and grading system that documents movement patterns that are key to normal function. By screening these patterns, the FMS readily identifies functional limitations and asymmetries.” After going through the screen, strength coaches can identify issues a certain athlete may have. Essentially, the FMS doesn’t tell the strength coach what to do with an athlete, it tells them what not to do and where a certain athlete needs to focus on corrective exercises. CrossFit does nothing along these lines. Clients and athletes that go into a CrossFit don’t correct any issues that they have or go through any type of screening process. Unfortunately this leads to an increased risk of injury, something that no one is looking for. This may be one of the scariest aspects of CrossFit. Your local CrossFit “coaches” attend an eight hour one day seminar to learn the methods of the CrossFit program. These “coaches” are then free to go and work at any of the CrossFit gyms. I am the first one to admit that there are plenty of good CrossFit “coaches” out there, but the majority of coaches aren’t all that great – and to be fair, no one would learn enough in an 8 hour long course to be qualified to work with people in the situations that CrossFit “coaches” are asked to. I wouldn’t be shocked if CrossFit is a fade that comes and goes within the next 3-5 years. In the meantime I would be lying if I didn’t agree that CrossFit is going very strong right now. People just need to realize that the actual CrossFit workout is probably something that you would be better off staying away from. It is not the best and only training system that you need to reach your fitness goals as many CrossFit members and coaches would like you to believe. Unfortunately there are nearly as many people developing injuries at their local CrossFit as there are people make great changes to their physiques. In my own personal opinion, most people would be better off finding a great personal trainer or strength coach to help you reach your goals instead of joining your local CrossFit. If you don’t believe me, HERE is a great article on the CrossFit controversy. Great post and thanks for the link at the end!